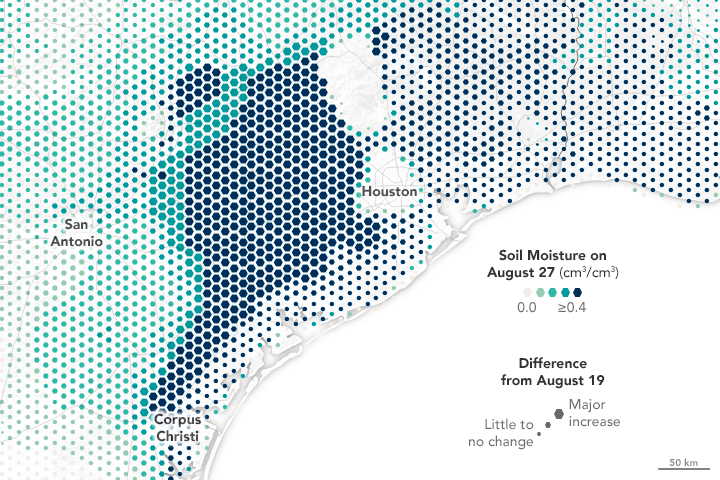 The map above depicts soil conditions around south Texas on August 27 compared to values observed on August 19. 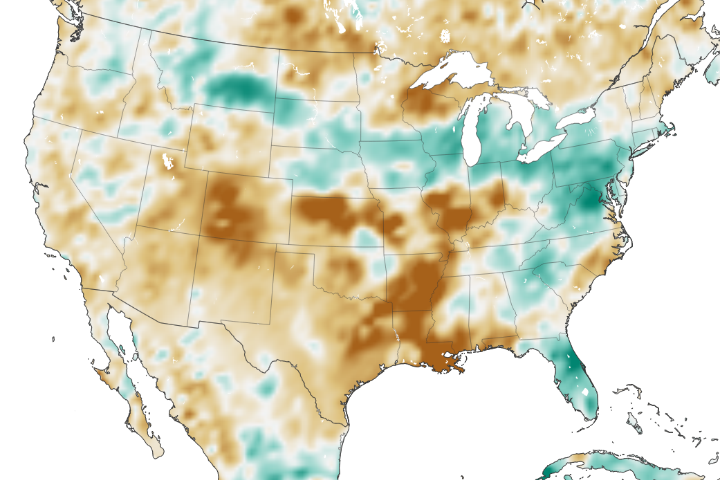 Colors on the map represent the amount of surface soil moisture, with the darkest colors representing soil that is saturated or nearly so. The size of each hexagon represents how much the level of soil moisture changed from the days before Harvey to the middle of the event (the most recent date for which we have data). 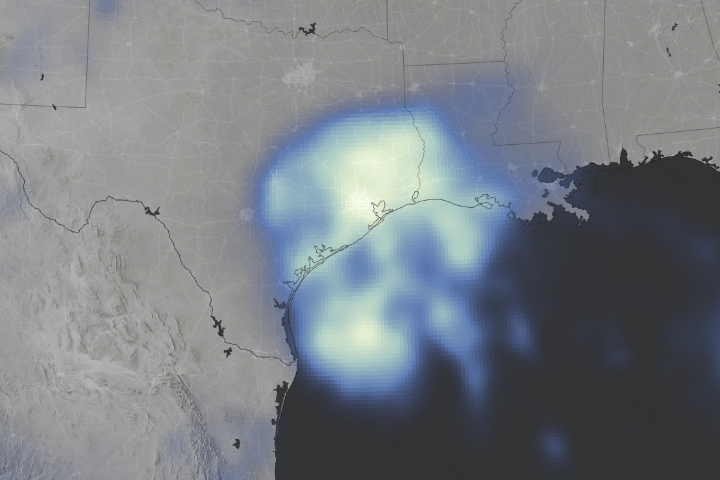 Note that data are sparse in Houston itself, as much of that area is covered by impervious surfaces (roads, buildings, and infrastructure). Climatology and drought monitoring reports from before the storm showed abnormally dry to moderate drought conditions north and west of Houston and near Corpus Christi. Meanwhile, areas east and northeast of Houston were quite wet, without much capacity to soak up more rain. 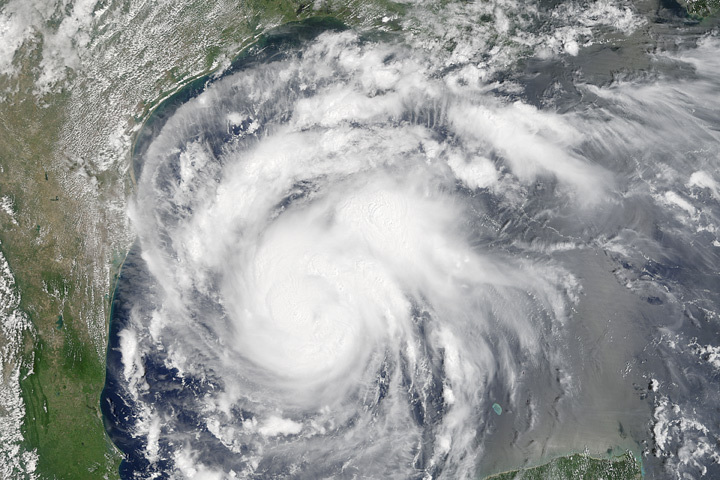 Meteorologists from the Southeast Regional Climate Center noted on August 23 that Texas, Louisiana, and other southern states were having one of their wettest months on record—before Harvey even arrived. 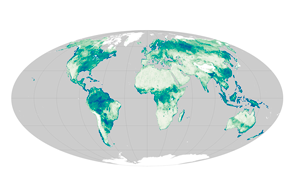 The data for the map above come from the Soil Moisture Active Passive (SMAP) satellite, which uses a radiometer to measure soil moisture in the top 5 centimeters of the ground. 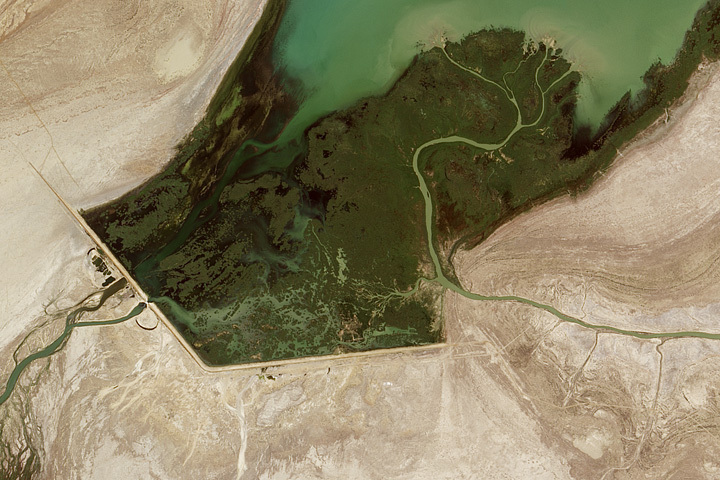 The resolution is about 9 kilometers per pixel. You can see the SMAP data represented as a before-after pair by clicking here. 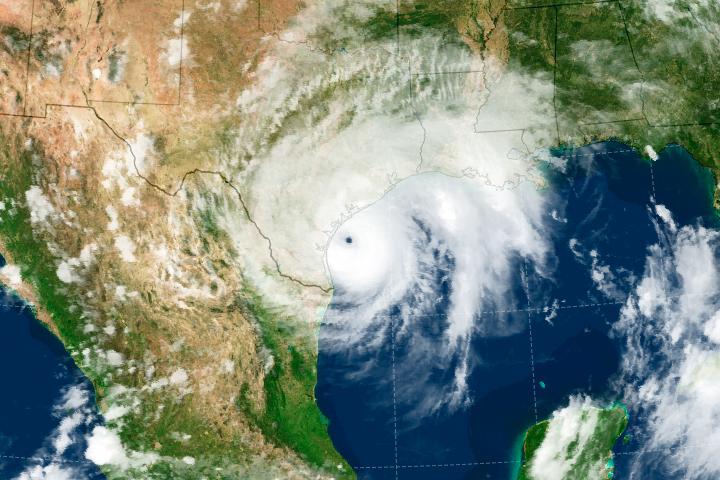 According to SMAP observations, soil moisture levels were already in the 20 to 40 percent range in some areas of Texas before the storm; after landfall, levels reached 30 to 60 percent. 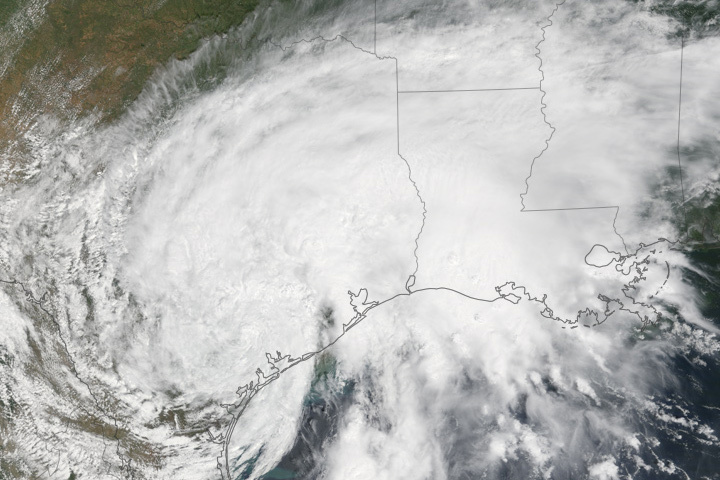 The soggy conditions likely prevented rainfall from Harvey from infiltrating more deeply into soils, thereby increasing the likelihood of flooding. In those areas that were abnormally dry before the storm, parched soil was also likely to be more prone to runoff. Think of the Texas soil like a sponge: a dried-out sponge takes a while before it loosens up and soaks in water, while a saturated sponge is little help with a new spill. 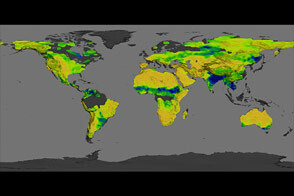 NASA Earth Observatory image by Joshua Stevens, using soil moisture data courtesy of JPL and the SMAP science team. Story by Mike Carlowicz. Harvey dropped buckets of rain on areas that were already very dry or very wet.